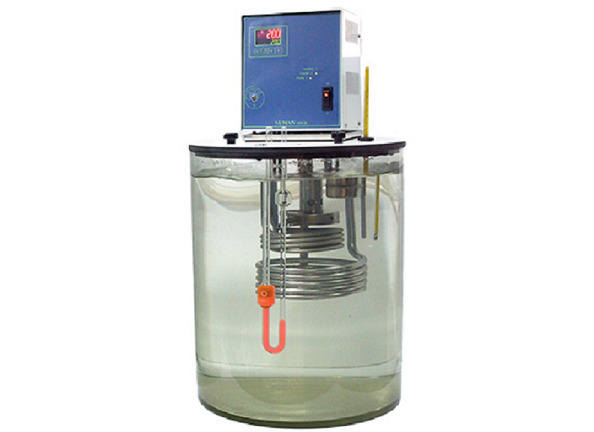 Labo VSC - 100 kinematic viscosity bath is digital and easy to use a universal device which provides appropriate measurements to the standards of ASTM D455 and TS 1451 EN ISO 3104. Measurements can easily be done by watching from the lucid glass surface and semi-automatically. Many U tubes measurement systems like ubbelohde, micro ubbelohde, Cannon-Fenske, micro -Ostwald... etc. can be used. Water or silicone oil can be preferred as bath liquid. To work at the temperature which is under the room temperature viscosity baths, which can easily connect and work integrated with Labo Refrigerated Circulators, are used commonly at mineral oil, chemistry, petrochemical, textile, plastic and polymer materials measurements. Working temperature can be easily changed and watched by the digital screen in VSC-100 model which you can hold 3 different samples at ready.